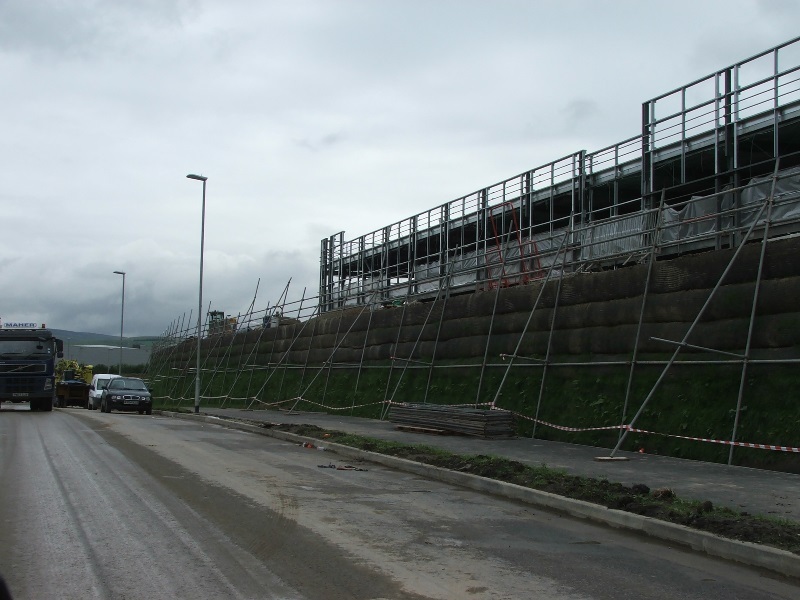 When ASDA opted to construct a new distribution warehouse in Rochdale a site was identified close to the M62, overlooking a number of residential properties. 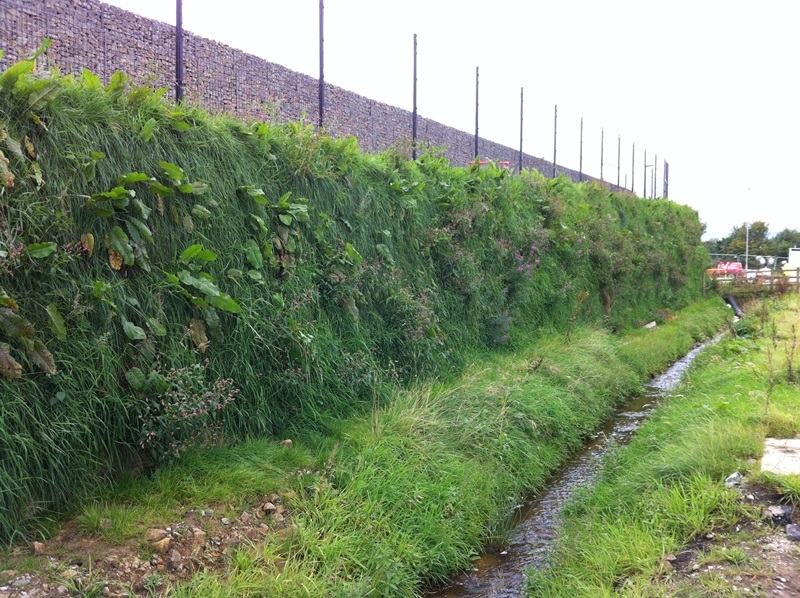 The site was heavily sloping and a cut and fill exercise highlighted the need for a 4-5m high retaining structure to support the lorry access road on the side facing local properties. 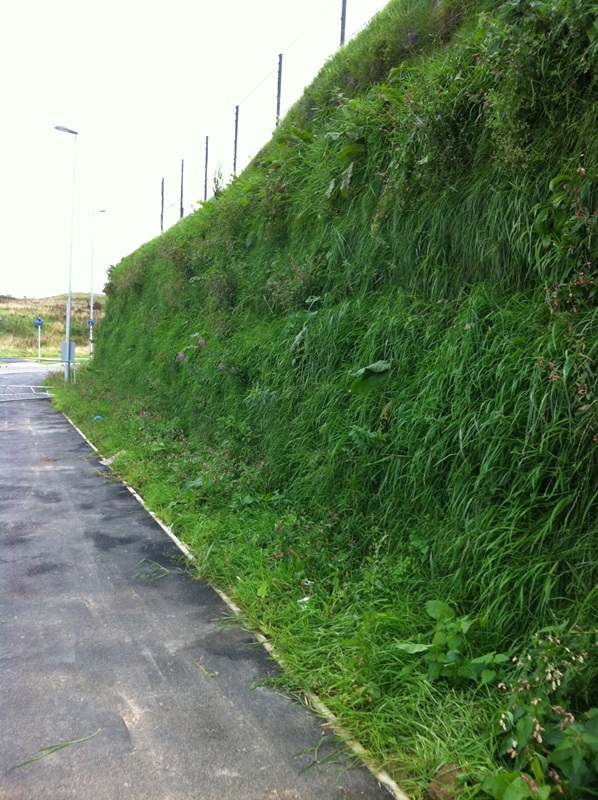 Planning conditions also stipulated that the retaining structure should be vegetated so that a ‘green’ appearance could be seen by the residents. 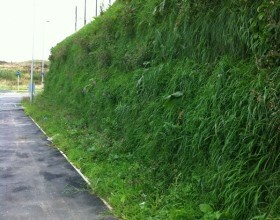 Under normal situations this green finish would entail the use of conventional 1:3 embankments. 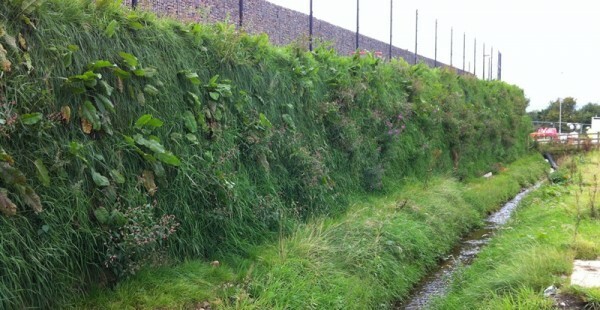 However, as this would reduce the developable land available, the sub-contractor contacted PaSCoE to see if an alternative ‘green’ structure could be constructed using the lime stabilised fill whilst still providing adequate support to the access road above. 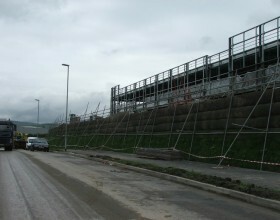 The site has been in full operation since mid-2013 and the structure is performing as designed.